I study rare events. Some believe it is my stock in trade. Enter Plug Power (“PLUG”). Someone pitched me PLUG as a short several weeks ago, when it was trading between $3.00-$4.00 per share. For various reasons, I was displeased with the short case and passed on it. I did not transact in PLUG or related securities until the last couple trading days. Luck was on my side. The stock went straight up over the last few weeks, hitting a high of $11.72 per share yesterday morning…before crashing down mid-day, and closing at ~$6.00/share. PLUG fell nearly 50% from peak to trough, yesterday. On Monday, I claimed, “If you look at $PLUG historical daily traded value since 1999, you’ll see why I suspect recent criminal/illegal behavior.” I may be wrong, I may be right. I would like to elaborate on my opinion (which I stand by), and explain the underlying reasoning behind it. The value traded exceeded its market value in these 3 days. The price of PLUG rose 25%, 30%, and 9% (intra-day yesterday) on these days, even as volume rose to historical levels. The 25 % and 30% rise ranked in the top <1% daily price increases in PLUG’s entire history. Suspiciously, PLUG share price rise these last 3 days occurred without any headlines, developments, etc. Any positive news (e.g. Walmart blah blah blah) occurred many days ago. So no news, yet historical volume, and historical price increases? Note how I never have opined on the company’s business, accounting, etc. I simply am pointing out mathematically questionable volume and trading activity. The above behavior can only be explained by the behavior of stock promoters, unscrupulous shareholders, and maybe unscrupulous quant/high frequency entities. I may update this post later with more. Note that this post is not opining on the near or long-term trajectory of the shares discussed. Although Wall Street may be the last place to go, for those seeking introspection, I find year-end to be an excellent time for investors/traders to process and reflect on all the good, bad, and ugly investment/trade decisions that were made in 2013. it’s an excellent time for introspection on Wall Street. Everyone is subject to bad/good luck; happens to the best of us. The real question is: when I fail, can I pick myself up? Can I determine how much was my fault, vs. what was beyond my control? What could I/you have done differently, and what can I/you differently going forward? I find it time-consuming and painful, but ultimately valuable to examine all investment/trade decisions… it helps me figure out the underlying ’cause and effect’ relationships behind wins/losses (answering the “why” questions). Or not (“I don’t know” is a perfectly acceptable answer/belief, in my view). By the way, luck is fine… self-honesty is what matters, in my opinion. As long as one is aware of return attribution… staying power/replicability may be within reach. Public and Private Statements – Mixed bag. Made some very bad public calls, and made some good calls (statements made via verifiable fashion, e.g. tweets, posts, e-mails, in-person statements, etc). See below, “THE UGLY, THE BAD, AND THE GOOD” for more. Actual Returns – Great job, but can do better going forward, especially on the long side. My overall batting average remains poor, but as some guy named Stanley Druckenmiller said: “I’ve learned many things from him (Soros), but perhaps the most significant is that it’s not whether you’re right or wrong that’s important, but how much money you make when you’re right and how much you lose when you’re wrong.” A friend earlier this year told me, “try harder.” He’s right, need to try harder. Also need to consider scale-ability and replicability. Shorting the Yen is very scaleable. Other, lower hanging fruit? Not so much. I had an interesting discussion with a quant about scale-ability. Despite the fact we do very different things, we understood each other…I gather his fund seriously ‘models’ scale-ability for each implemented as well as prospective strategies. Short Microsoft – I was the perfect contrary indicator. Kudos to @volslinger for saying long MSFT. (same article as the S&P 500 target article). This call is so bad, it was negative alpha generative. Short DDD – I wrote https://thelongshorttrader.com/2012/11/16/ddd-doth-protest-too-much-part-i/ – Terrible call, even worse than the MSFT call. Short CAT – This idea generated positive alpha, but in absolute terms, this has been a bad (but not ugly) short. Short OSTK – I tweeted, “$OSTK has this huge “SHORT ME” sign all over it… but I’ve thought so all year, and haven’t pulled trigger yet.” – the stock has been flat/down slightly since. Yes, alpha. But abysmal. Short China – China definitely underperformed relative to the US, but my timing was perfectly bad, as it was in July. Long $ – I wrote https://thelongshorttrader.com/2013/07/08/make-way-for-the-coming-of-king-dollar/ – Another terrible call (though I stand by it, going forward). Short Gold, Miners – On twitter, in person, in e-mails, etc… in virtually every medium my message has been consistent. Sell/short gold/miners. Long CNSI – I didn’t originate the idea ( @mojoris1977 publicly did), but I stood by it. Short IOC – Well-timed action/statements. Long HLF – On twitter, in writing in other mediums, in person, etc. I made clear I’m not a fan of the company, I respect HLF’s critics, but that the shares would nevertheless go higher. Long John Paulson – Last year (around this time) I wrote: a 2013 Counterintuitive Investment Theme #1: Betting on Paulson (?) – https://thelongshorttrader.com/2013/01/07/2013-counterintuitive-investment-theme-1-betting-on-paulson/ What I got wrong: I suggested that shorting Europe, going long miners might wrong. Thematically, I had the right idea (remember how hated and ridiculed John Paulson was in 2011/2012? ), in going “long Paulson” but had the wrong specific trades in mind (fortunately as the year progressed I more firmly and clearly stated short gold/miners). Short LOTE, UNXL – Self evident. Value Traps (long housing 2005/2006) – In 2005 and 2006, I went long some housing related names because they looked cheap on book value, etc. basis. I was the patsy on the table. I lost nearly 100% of my invested capital in these names. Lessons learned: cheap can get cheaper (and go to zero), book value can erode, earnings can go negative (despite past results), macro matters, true fundamental/securities analysis is NOT merely looking at numbers/ratios. Cyclicality matters, and structural discounts to valuations on cyclical names are often well warranted. Risk management and diversification are NOT a linear function of # of securities one owns. Consider sectors and strategies that were out of favor in 2013 – When I say consider, I am not advocating that you blindly invest in everything that didn’t work in 2013… but to understand what did not work in 2013, why it did not work… and why it may (or may not) work in 2014. Try to understand causation. There’s one particular strategy that I’m very “bullish” on… and I think I’m “bullish” for all the right reasons. Hint: unreliable, but often cited hedge fund performance survey claims that performance for this strategy was -20-35% in 2013. Gold and Miners – I say we will see gold go lower in 2014. 10+ years of up, up, and up does not correct this easily. Need to see some miners go the way of chapter 11, and/or massive dilutive capital raising. “Gold tumbled 28 percent this year, set for the worst annual plunge since 1981.” Note that gold declined further in 1982. Endogenous vs Exogeneous – So I think it’s fair to say that the 2006-2008 financial crisis was largely an endogeneous one, whereas 2001 was more exogeneous in nature. I wonder if the proximate cause for the next correction will be of the exogeneous variety. Go Long Active (vs. Passive) Management – The popularity and proliferation of passive management (as evidence by ETFs and similar), coupled with the rise in US equity indices in 2013, provide a rare opportunity for active managers to generate significant alpha in 2014 vs. their passive counterparts. 2014 will favor true alpha seekers. Credit/Rates – I say go long Saba Capital, or some of the strategies/concepts they employ that have not fared so well this year. Bitcoin Implications – I took bitcoin very seriously, before many others did (thanks to a geeky friend of mine who is very much a forward-thinking individual). I’m thinking through the investment implications, i.e. the 2nd/3rd/4th order implications. Suffice it to say: I believe bitcoin and/or related concepts may end up slaying certain rent-collecting goliaths of the real economy… these behemoths, in my view, have de facto monopolistic power within their respective domains. Their demise/contraction are long overdue. For the sake of society (and capitalism), I would love to see innovators slay them within the next 5-10 years. Innovate or perish. Creative destruction, par excellence. It is the American way. War risk creeping – Investment implications unclear (not the US per se), but for example, Japan is getting aggressive. It seems symptomatic of desperate governments. Certainly rhyming with past history. I personally hope all their unnecessary aggression dissipates…but you never know. It is my understanding that (?) market prices poorly predict war. “Trading, like poker is a zero sum game. We have 1,500 employees, spent hundreds of millions on research during 37 years. You are going to have to beat me.” – Ray Dalio, Bridgewater Associates. Is This a Great Time to Buy NLY (Annaly Capital Management) ? It’s cheap on a __ and __ basis. Yesterday’s announced dividend cut appears to have been less worse than the street expected (or was it?). Many of the NLY promoters from earlier this year (both the smart and not-so-smart) have been thoroughly humbled and humiliated. I love these kinds of situations (which doesn’t mean shares cannot decline further). A cursory examination of the NLY historical stock price seems to show that very negative down years tend to be followed by positive years. The pattern recognition side of me tells me to BUY BUY BUY (but past patterns are not indicative of future trajectory). One rarely sees a best-in-class operator (that has survived even as its competitors went out of business) shares beat up this badly, in a year’s time. True Capitulation? – A bull who has been dead wrong for quite some time has not capitulated. I’d love to see him capitulate, as he seems to be long NLY for all the wrong reasons. Management Quality is of Paramount Importance– Michael Farrell passed away last year. Annaly has been around forever, and its management respected the entire time. How honest and competent are the original management’s successors? How much time does the old guard have remaining? Is this your father’s NLY? I may initiate a long today (“trade first, analyze later”). My continued analysis may be updated in this post. Is This How and Why the Nasdaq Will Reach New All Time (Nominal) Highs in Coming Years? The Nasdaq is “only” ~20-25% off its 2000 all-time highs. The S&P 500 and Dow hit all-time highs this year. The Nasdaq looks “relatively” inexpensive. Some market participants, therefore, have naturally begun to wonder whether the Nasdaq will hit new all-time highs in coming years. It is my belief that the advent and adoption of electronic trading in the 1990s (coinciding with the revolutionary and transformative effect of the internet on the real economy) played a key role in propelling the NASDAQ to its euphoric heights. 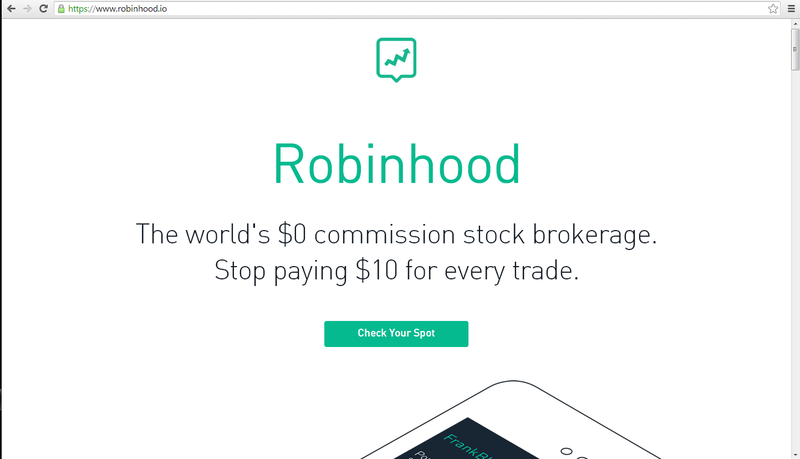 I might add that robinhood is backed by Google Ventures, Andreesen Horowitz, and other venture investors. I personally believe that a 1998-like market correction in the near future, coupled with these type of developments will make it increasingly likely that we will see the NASDAQ hit new highs. Robinhood (and Hugh Hendry’s very public faux-capitulation) may serve as immediate term contrary signals (say within the 1-4 quarters), but a medium term leading indicator (1-2 years). The US economy does not appear to be experiencing the structural improvements, and productivity gains it was experiencing back in the 1990s. As a result, I wonder how long-lasting new highs in NASDAQ will last this time around (that is, if it were to occur). Perhaps twitter today is what the yahoo message boards was in the 1990s. Now, if only innovators were to find a way to reduce the mean and median investment banking / advisory fees (IPO, M&A, etc) , say to <1% of capital/deal sizes… that would serve as a free-market (and not centrally planned) solution to redistributing wealth away from Wall Street, and back to Main Street + Tech. Although I hope to one day become a half-decent macro investor, I will continue to focus on securities selection for the time being (which I personally believe will lead to superior results, measured both in alpha and beta terms, and dollars and cents). Yes, twitter’s valuation is absurd. Yes, the business is (currently) ponzi-financed. Yet investors’ pessimism is real. And rarely is such lop-sided sentiment perfectly correct. Such sentiment is not indicative of euphoria, but of a healthy (?) dose of skepticism. Granted, sometimes crowded sentiment ends up quite correct (I believe investors were collectively pessimistic regarding GroupOn when it went public…and they were proven correct). This post is not meant to be a comprehensive analysis of the shares of twitter, but to highlight the lop-sided sentiment against twitter shares. You should assume that I am the proverbial “patsy” on the table, and that there are smart people who actually know a thing or two about twitter’s business prospects. Capital has been fleeing, is fleeing, and has good reason to continue fleeing Europe, China, and the rest of the world. The economies outside of US are not doing well, and their central banks face pressure to ease…all clearly good for the $. The US economy has seen better days (especially as far as employment, median/average wages, etc go), but it is by far the best house in a bad neighborhood. US economic growth and the drivers for economic growth remain far superior relative to the rest of the world. Even as other countries’ central banks/governments face pressures to ease, The US Federal Reserve faces pressure to tighten (and for good reason). Higher rates and/or the expectation of higher rates is clearly attractive to the inflow of capital. US banks are far stabler than their counterparts in Europe and China. Interest rate and yield curve expectations/trends in the US are also favorable as far as forward expectations on bank profitability/safety are concerned. The US remains far politically/socially stabler compared to Europe, China, and the rest. Greater safety and growth prospects seem very positive for the $. The implications of a strong dollar within the next 12-24 months on the real economy, commodities, US equities, and other asset classes are probably a lot more interesting, but will leave that for you to figure out. Also, I would recommend studying correlations, but to the extent it helps you think about causation. Correlations can and do change, and money is often made when discounting the obvious correlation, and betting on an unexpected ‘regime change’. Going forward, you should assume I will write far more about macro, sector, and/or theme related investment/trade ideas, and far less about single-name ideas.